Almost certain but only got a glimpse and then a mediocre photo of it deep in the bushes. 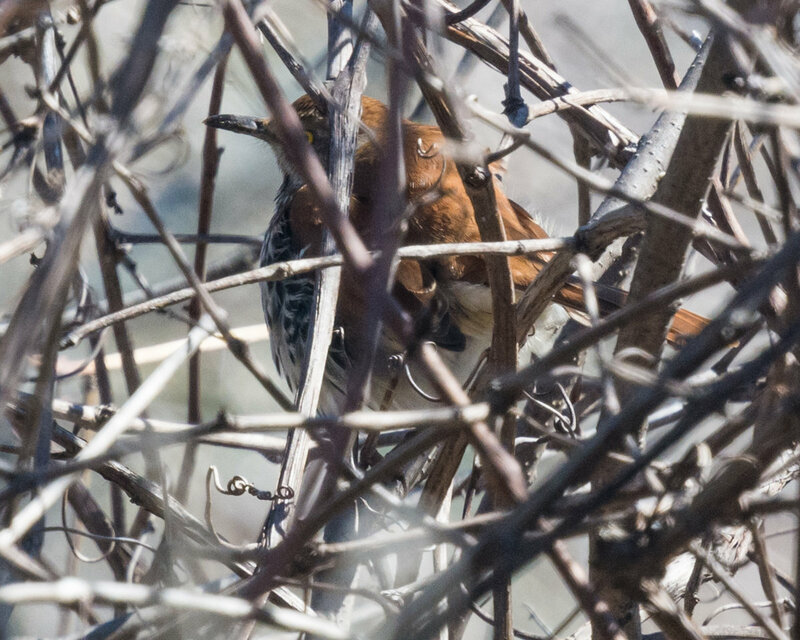 Thought initially it was a Wood Thrush. Yep! You can just catch the bright yellow eye. He's hunched and fluffed, making him look stockier and thus more like a thrush. Thanks Charlie and Liam, yes I thought the bill and the yellow eye did it but I have been wrong so many times.